Four-year-old Ian was resting on a dentist’s chair, and it was not just his mouth that was wide open as he got his teeth cleaned. His eyes, too, were wide open as he watched his favourite episode of Thomas the Train on a widescreen TV on the ceiling. At the new paediatric specialist unit of Thomson Specialist Dentistry, the little ones are entertained by books, toys and children’s TV programmes, both before and during their dental treatment. 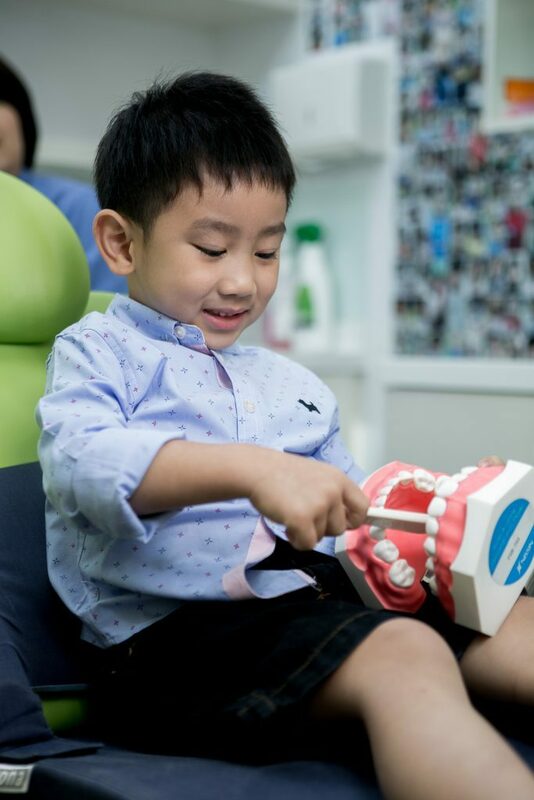 “The main difference between working with children and adults as a dentist is that you need to get children to relax and distract them long enough for you to examine them,” said resident dentist Dr Toh Siew Luan, who has been working with children for more than 10 years now. For Dr Toh, patience is key. For anxious children with serious dental problems that require immediate treatment such as a root canal, treatment may be carried out under general anaesthesia if necessary. To Ian’s mother, Mdm Deneuve Tan, 34, it was a relief that her children’s first visit to the dentist was a pleasant one. Mdm Tan also brought her 16-month-old daughter Sophie along for a checkup, as her first few teeth had just erupted. 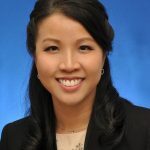 “We thought it would be good to get her comfortable with a dentist now, and to start a dental regimen early,” explained Mdm Tan. Dr Toh managed to keep Ian in the chair long enough to check and clean his teeth, and showed him how to brush it the correct way. As for Sophie, Dr Toh had to work quickly to check her teeth while Mdm Tan held her in her lap. The visit went well. Ian got his teeth fixed and Sophie received a clean bill of health for her teeth, and both went home with a little gift courtesy of Dr Toh – an instant photo of themselves as a proud souvenir of their visit to the dentist. It is therefore important for children to visit the dentist within six months of the eruption of their first tooth or by their first birthday. Any gaps formed as a result of baby teeth lost could lead to uneven growth, which might require the use of braces later in life. One trend that Dr Toh has noticed is how many local parents seem to be averse to a dental visit themselves. To her, there is no greater reward than helping children overcome their fear of visiting a dentist. “A little girl wrote me a thank-you card, and on it she drew a portrait of me, herself and all the things she loved about my clinic, including the TV and box of rewards and toys,” she said with a smile. Play games with your children before they see a dentist. For instance, role-play and take turns to be the patient and dentist as you do a fun checkup on their soft toys. If you are afraid of seeing the dentist yourself, don’t show it to your children. Avoid using words such as “painful” when describing your experience. Stay calm in the dental clinic because children can sense your anxiety and become tense themselves. See a paediatric dentist within six months of the eruption of your child’s first tooth, or around the age of one. Give your children’s complete medical history to the dentist.